Wearable Tech: What Comes Next? In just two short decades, wearable technology has become an integral part of many consumers’ daily lives. Smartwatches, fitness trackers, and communication tools are increasingly more widespread and have even begun to influence fashion accessories and the health insurance industry. While some may consider wearable technology to be a passing fad, the rising popularity of gadgets such as the Apple Watch and Fitbit beg to differ. 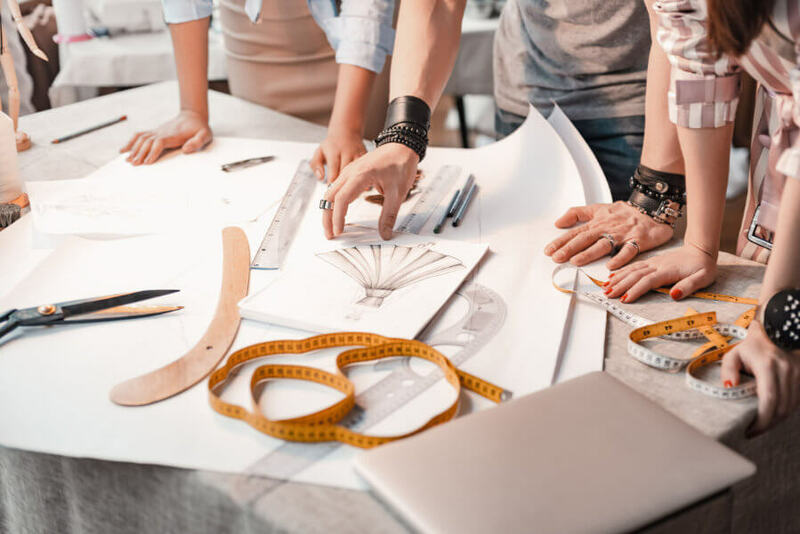 Consumers, especially the younger generation, are drawn to the flashy yet practical items and are excited about their potential for innovation and creativity. One particularly lucrative market for wearable tech companies is the fitness industry. Customers are constantly looking for efficient and seamless ways to track their fitness goals. These consumers have the option to choose what form they want their wearables to come in: fabrics, watches, FitBits, and more. Motiv, a new wearable tech company, has come out with a sleek and beautifully modern ring that tracks sleep, activity, and heart rate around the clock, making it a perfect accessory for those who find the technology to be too bulky when it is otherwise incorporated into watches, bracelets, or accessories. In whatever wearable form, these tools allow their wearers to measure their physical efforts, set and achieve quantitative goals, and to feel rewarded for workouts, walks, and engagement in healthy practices. Fitness-focused technology has an immense amount of potential, as do numerous other similar products when it comes to wearables. While the already fit have embraced this technology with open arms, ecstatic with the idea of being able to fully control and track their workouts, fitness tech brands have an incredible opportunity to advertise and market to those who are not yet fully taken with the idea of wearable tech. If these companies can lure this untapped market of customers, then they can become even more prominent; they can even become leaders and participants in the future of technology advancement and innovation. A key to their growth is to not only keep and expand revenues from their existing customer bases, but to also spread out into other demographics. Wearable technology is becoming an integral part of the Fashion and Apparel world. Some fabrics are now smart fabrics. This means they may come equipped with virtually undetectable sensors that can monitor vitals such as the wearer’s heart rate and respiratory levels. They are able to detect, store and relay information that ordinary smartphones and applications cannot. With the ability to smoothly integrate such smart tech into garments, the wearer can be fashionable or practically dressed, all while monitoring daily personal stats and keeping on track with health goals. Potential applications are limitless, such as medical monitoring, or even allowing parents to track the whereabouts of their children. Given all the possibilities and practical uses for wearable fabrics, they may soon be worn by nearly everyone and found in households everywhere. Another big name brand focusing on smart fabrics, or smart fabric applications and integration, is Under Armour. Famed for its exercise gear, this American company has demonstrated a genuine interest in the wearable apparel market, and has carved out a niche spot. The company started with a focus on wearable tech hardware, but has since shifted its focus to wearable tech software. This allows Under Armour to integrate its technology not only with its own products but also with the products of other companies, like Samsung and Apple. The net effect of this software development and entry into the market is that consumers are enabled to integrate the technology of their entire smart wardrobes. The applications and functionalities of this science are endless and thought provoking. Wearable technology and fabrics are here to stay. Fitness, fashion and many other types of companies are going to be continuing with research and development into this practical science. With endless possibilities and uses, smartwatches, smart fabrics, integrated wardrobes and more are ready to capture the hearts and minds of every consumer, and to become a part of daily life.